ESET NOD32 offers some virus protection around for Windows PCs. The name is a bit of a mouthful, but do not worry-the software is easy to understand and use but offers incredibly powerful protection. Rest easy knowing everything is safe and secure on your PC with ESET NOD32. 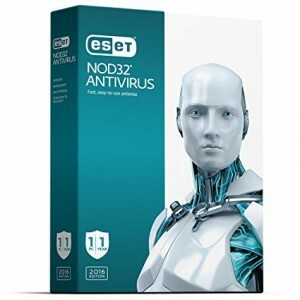 Award-Winning Antivirus Software: ESET NOD32 antivirus has been awarded many times over the course of the software's lifespan, and those awards were for good reason-it offers some of the finest virus protection software on the market. Ransomware Shield: Enjoy protection from ransomware built into the ESET NOD32 antivirus software, keeping your data safe and secure from scammers and hackers. Cloud Powered Scanning: Speed ​​up your scans by whitelisting sites to ESET are safe and proactively stop unknown threats based on reputation. Keep your system safe, all the while keeping your system running smooth. Exploit Blocker: Block attacks specifically designed to evade antivirus detection and eliminate lock screens and ransomware. Extends this protection to web browsers, PDF readers, and other applications, including Java. Small System Footprint: Keep your system running at is best with ESET NOD32 antivirus. Extend the life of the hardware as well, and the software can easily adapt to different kinds of hardware. 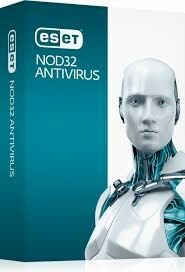 When on a laptop, ESET NOD 32 will also disable any system of activity to preserve system resources, automatically. ESET NOD32 offers some of the best virus protection software on the market with a lot of excellent features (this is only a small sample of what's available) to keep your system running smooth and clean. Browse the internet safely and securely and know that your files are safe. See why this is the best for yourself. Buy from SoftwareKeep and get the antivirus protection like ESET NOD32 at the best possible price. Call us with any questions or for assistance with downloads and installation.